Mike Powell, Skate Guru from K2 Skates and Rob Gill, of InlineSkates.com, review the 2015 FIT 84 BOA and Alexis BOA Inline Skates. Hey, welcome to the Daily Spin. I'm Rob from inlineskates.com joined today by Mike from K2. Mike, thanks for being here. Hey, thanks for having me, man. So, we're talking about the Alexis Boa and the Fit 84 Boa Fantastic fitness skates from K2. The Boa refers to the lacing system on this skate, we'll actually get to that in a little bit. What's the first feature with this skate? Well, with any K2 skate, Rob, the first feature is going to be that patented Original Soft Boot. We build our skates like a piece of performance footwear and once you put your foot in a K2, you'll realize why the Original Soft Boot is better than any other inline skate construction on the market. For sure, now let's talk a little bit about the Boa Lacing System on this skate. Well, it is by far the best lacing system that there is in inline skating. We started it with K2 Snowboards back in the day in 2001 and we worked with Boa and we kind of brought that relationship into the inline world and really this closure system, as you can see right here, all I do is pull that dial out and I can get out of my skates. When I want to get back in my skates I just pop the dial in and I can spin it and when you're on the trail and you're going 20 miles an hour and you realize your skates are a little loose, you don't have to pull over with a Boa. You just lean down, shift on the fly, you can dial that thing in and it's an amazing feature and the best closure you can find for an inline skate. For sure. I absolutely love the Boa. I have it on my snowboard boots, I have it on my inline skates and, yeah, being, like you said, being able to adjust on the fly is fantastic, you don't have to find a place to stop and sit down and tie your skates up. It's really an awesome feature so moving down the skate, aluminum frame with 84mm wheels on it. Yeah, so you've got a nice medium-length aluminum frame that's going to carry a lot of speed. That 84mm wheel is going to carry speed as well. You combine that with an ILQ7 bearing and you've got one of the best bearings on the market for inline skating combined with a great wheel set up, frame and the Original Soft Boot, you've got the perfect skate for those that really love going out and working out on their inline skates. Fantastic. so, now the Fit 84 and the Alexis, who is the skater for these skates? You know, it's a fitness skater. 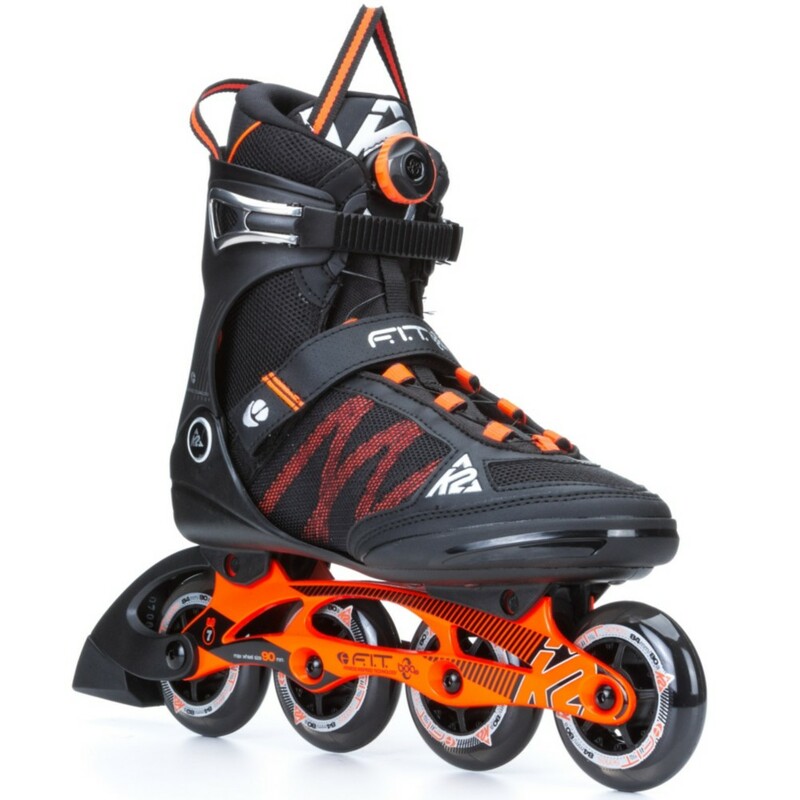 It's someone who is going out there a couple times a week, really enjoying being on the trails and, while inline skating might not be their primary workout, they want the best in fitness skates and that's what you've got right here. Fantastic. So, there you have it the Fit 84 Boa on the men's side and the Alexis Boa on the women's side. Really great skates in K2's fitness line up. you can check them out on inlineskates.com and thanks for joining us on the Daily Spin.